295 cases have the "Roussanne Is Coming" label and 40 cases the "Legs" label. 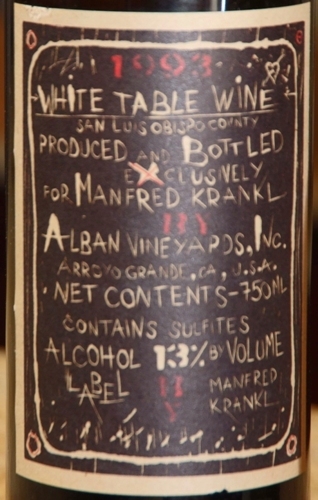 There are two labels because Manfred was nervous that the Legs label would be rejected by the BATF. This wine was made with John Alban at the Albany winery. 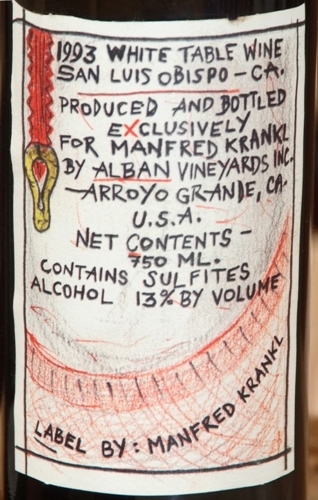 This wine was poured by the glass at Campanile, Manfred Krankl's restaurant in Los Angeles. In 1995, I got the best wine job I've ever had: assistant to Manfred Krankl, managing partner of Campanile and La Brea Bakery in Los Angeles. Campanile's winelist was renowned, complicated, and exciting. Each morning at 7 a.m. I would meet Manfred at the restaurant and we would go straight to the chilly cellar to take inventory, rearrange the stock, and rewrite the list. Manfred would challenge me to read the labels out loud and often speak about the winemaker or the particular characteristics of the wine. The more interest I expressed, the more he included me in this aspect of the job. I would sit in on wine tastings (and there were a lot of them – by this time Wine Spectator had acknowledged the list as one of the best in the country and wine reps were scrambling to be on it) and occasionally he would have me sub for him when he was busy. It was exhilarating and challenging. 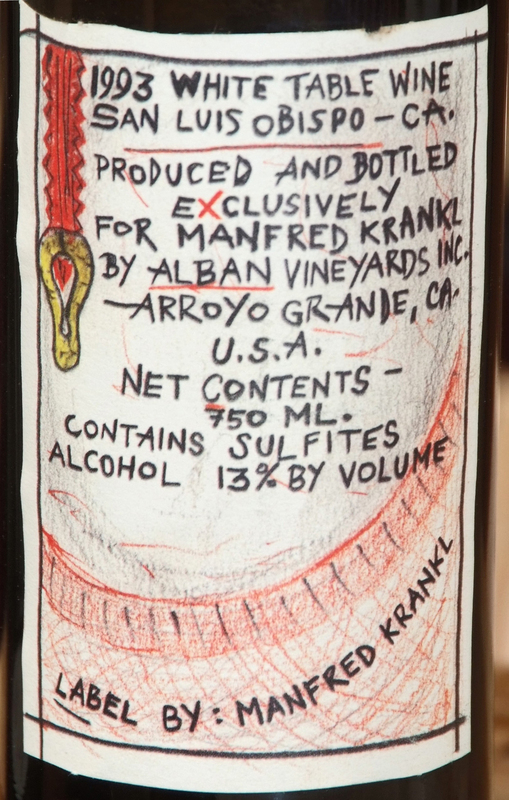 Simultaneously, Manfred was also developing his own wine label: Sine Qua Non. Those who follow wine and its superstars will know that this has been an incredibly successful and lauded venture. 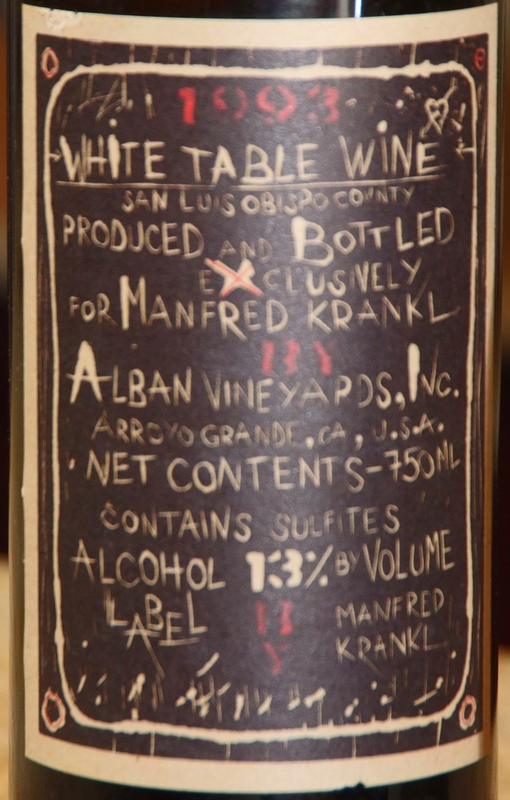 As Manfred's assistant I was involved in the early development of the branding and bottling of its first vintages, which were done at Alban Vineyards.